Hi there! 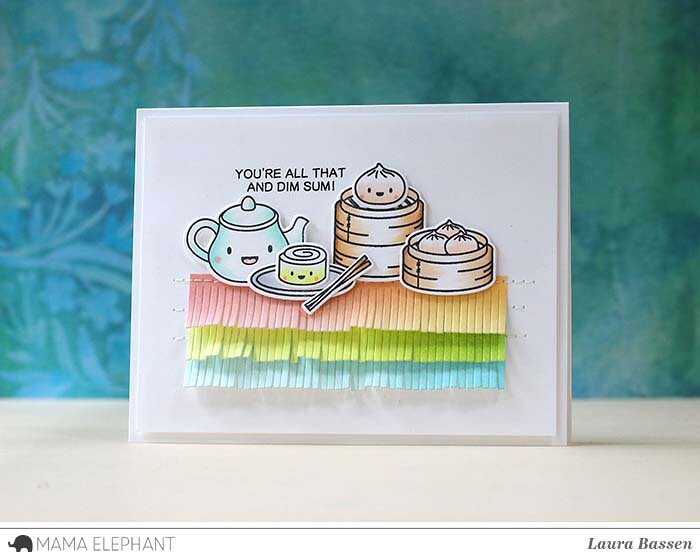 Laura here and today I have another project featuring the adorable Dim Sum Fun set. 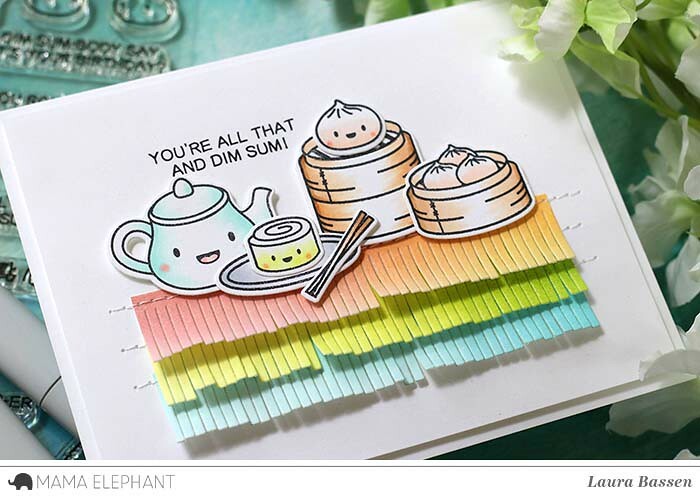 I blended several Mama Elephant pigment inks onto three strips of cardstock, die cut them using the Fringe-Creative Cut and then stitched the fringe strips onto the panel. 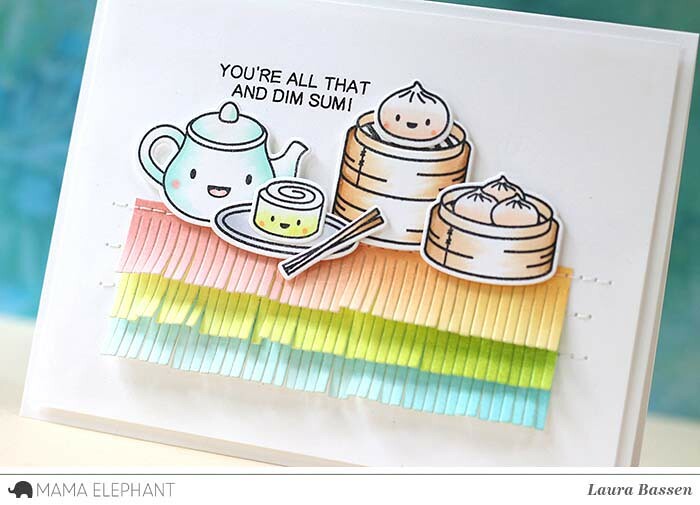 The Dim Sum Fun images were colored with Copics and then popped up over the fringe strips with foam tape. I just love that sentiment! So very cute! Love the Stitched fringes. That sentiment makes me jolly well lol an awful lot :-) Great card, the fringing looks fab! That fringe is a wonderful addition. Love it. Very festive. Such a cute card! I love how Laura stitched on the fringes and her Copic coloring is just beautiful! Your card is just too cute. The images are so much fun and the sentiment made me laugh.